A hexagram tattoo design. The Chinese character in the middle of the tattoo means zero. 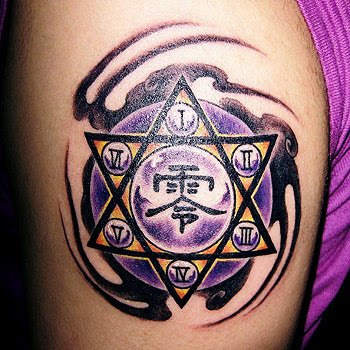 I will introduce another fabulous hexagram tattoo in the next post.